The Magellan SmartGPS automotive GPS system features a 5" touch screen to provide an instant access to navigation features and an exclusive QuickSpell® technology. This excellent device features the exclusive and highly acclaimed OneTouch™ favorites menu. It is equipped with Bluetooth so you'll be able to use it for hands-free calling with a Bluetooth-enabled cell phone. The SmartGPS gives you confidence while on the road with premium features including junction view, landmark guidance, speed limit warnings pre-loaded maps of United States, Canada, and Puerto Rico. The best parking feature helps you find parking garage locations, hours of operation and directions to the entrance. - Gas Stations, Restaurants, ATM's, etc. Allows you to sync your SmartGPS, smartphone and desktop or tablet to share information across all devices. Extra wide 5" glass touchscreen gives you more viewing area. Read reviews, short tips and discover great deals in relation to your location. Locate the lowest fuel prices around you. Receive audible and visual warnings of red light and speed cameras along your route, provided by PhantomALERT. 1 Year Free. 5 day weather forecast of your preferred 5 cities. Never worry about out-of-date maps again. Download the latest map information (up to 4 times a year) for the life of your Magellan navigator. Warns you of reported traffic events that may delay you and provides alternative route suggestions. Allows downloading of Cloud Connection features, use of Android browser and wireless software updates without an extra subscription. Wi-Fi Web Browser allows you to search for destinations from any location with a Wi-Fi hotspot. As you put your car into reverse, your Magellan navigator will automatically switch into rear-view mode allowing you to see what is behind your car- including children, pets and toys. The Magellan SmartGPS has many exciting features for users of all types. 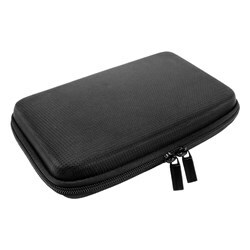 It's one of FactoryOutletStore's best selling Magellan RoadMate GPS Systems. 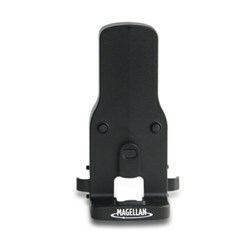 You can extend the lifetime of your Magellan SmartGPS with the purchase of a FactoryOutletStore Factory Protection Plan. 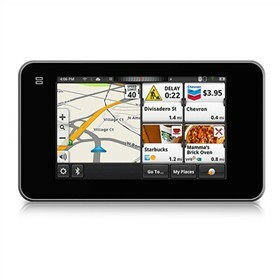 See the Magellan SmartGPS product video and gallery images above for more details. FactoryOutletStore stocks a full line of accessories like 7" GPS Case, Car Charger, and Convert Suction to Dash Mount for the Magellan SmartGPS. The Magellan SmartGPS is sold as a Brand New Unopened Item.